Here are the projects I have been working on the last week or so. I wanted to create a piece to show my support to the gay community. 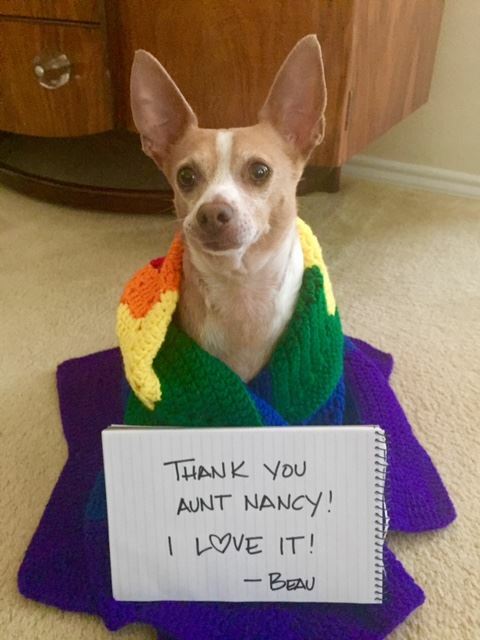 I knew that I wanted it to be the colors of the Gay Flag, the colors of the rainbow. 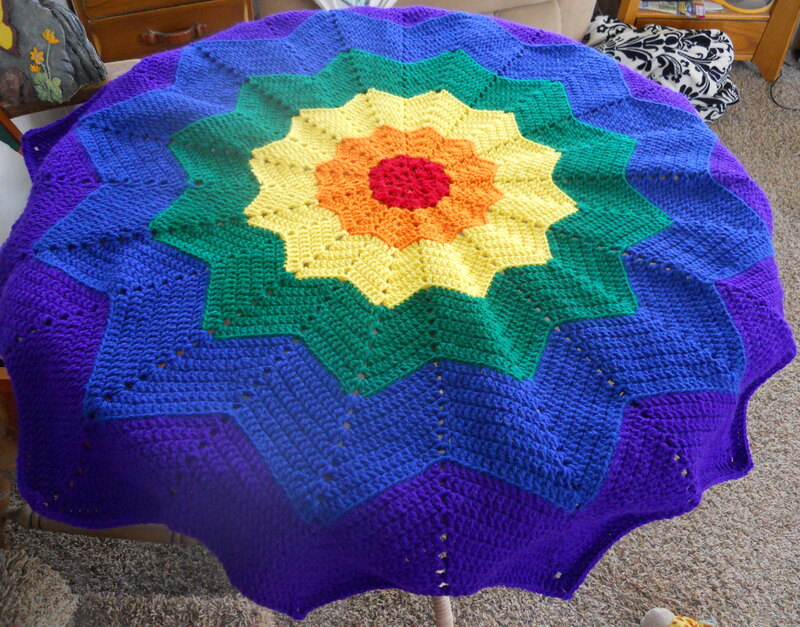 So I created this wonderful blanket. It is smallish about 45 inches. I love the way it turned out. I sold it right away to Beau. It looks great on him. 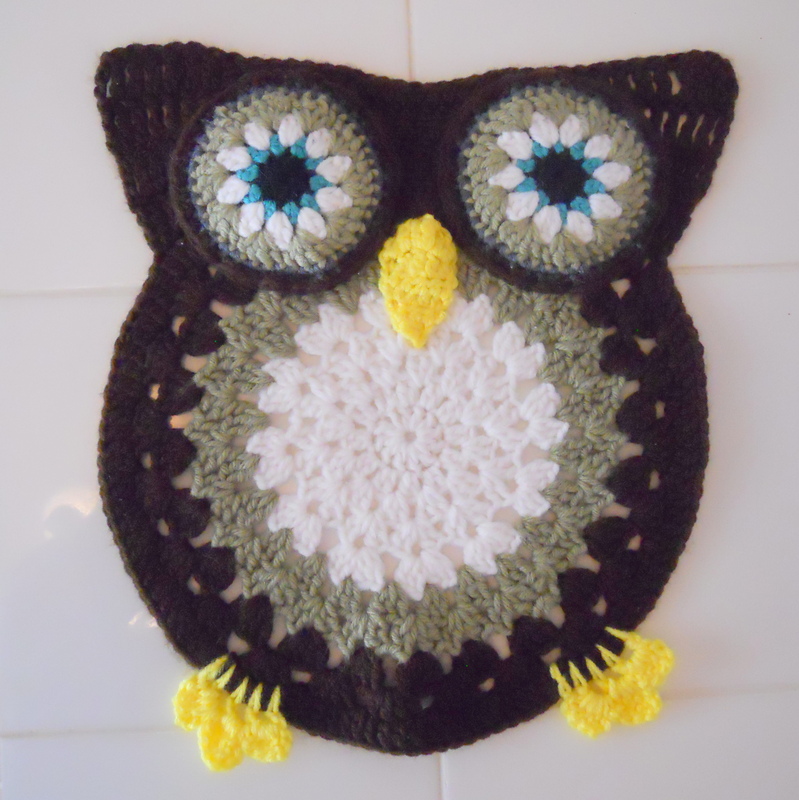 Next, I made this owl trivet because I found a free pattern for it on Zooty Owl’s Blog. I had to give it a go and here is my take on it. Zelnia Oliver has some great pieces and a lot of her patterns are fee. 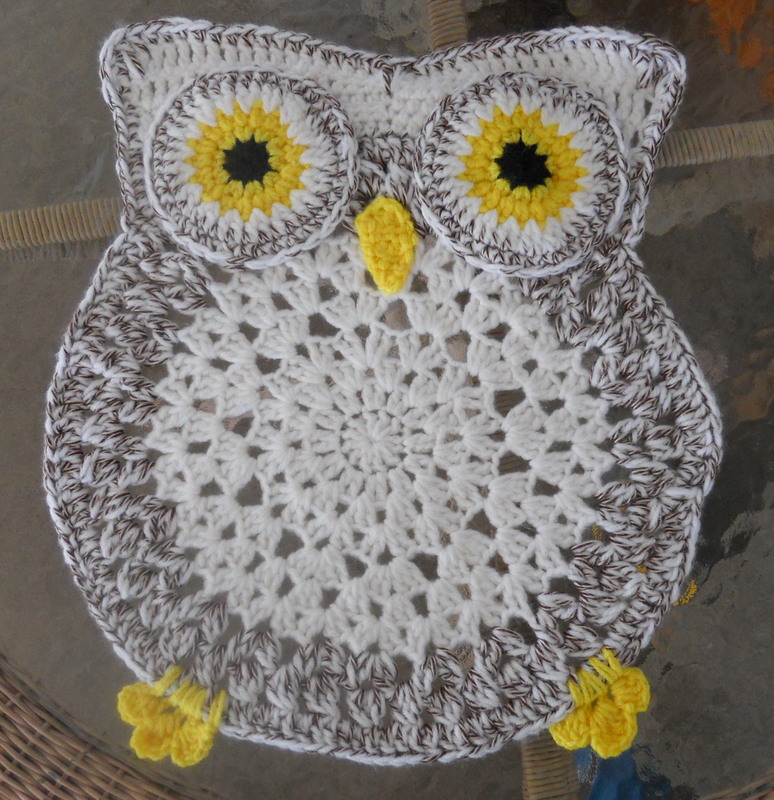 The pieces she crochets and her patterns are what made me fall in love with crocheting. Stop by and check out her blog. I sold two of these and then got a request. “Can you make a cow like this owl?” Well apparently I can. I started with Zelnia’s pattern and went from there. 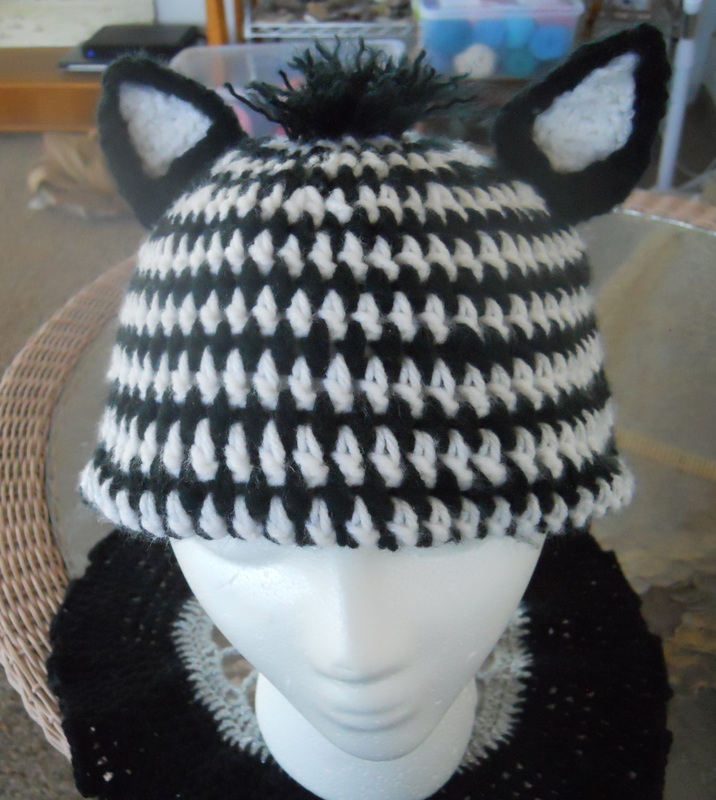 Previously I found the black and white yarn made by Red Heart, called Zebra. When I first saw the color it intrigued me. So when I was buying yarn one day I bought a skein and made a headband and a hat out of it. It is a fun color. So when I got this request I knew it was just the right choice. 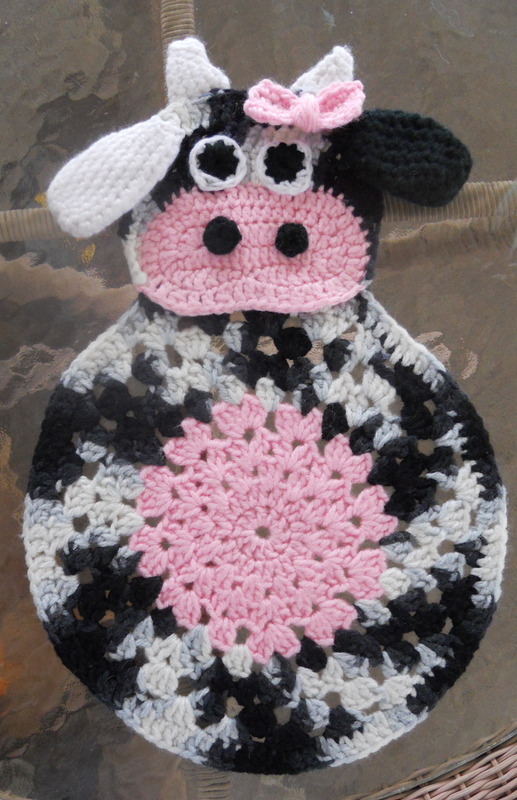 I could not find a pattern for a cow trivet so I had to improvise. Here is my first one. I call it my prototype/pattern. I will keep the first one to reference if I need to make another. I sold three!!! I made some changes to the next one. I made the ears smaller and put some pink inside. I did not love the eyes so I made new ones with color and eyelids, and I made the bow a better proportion. 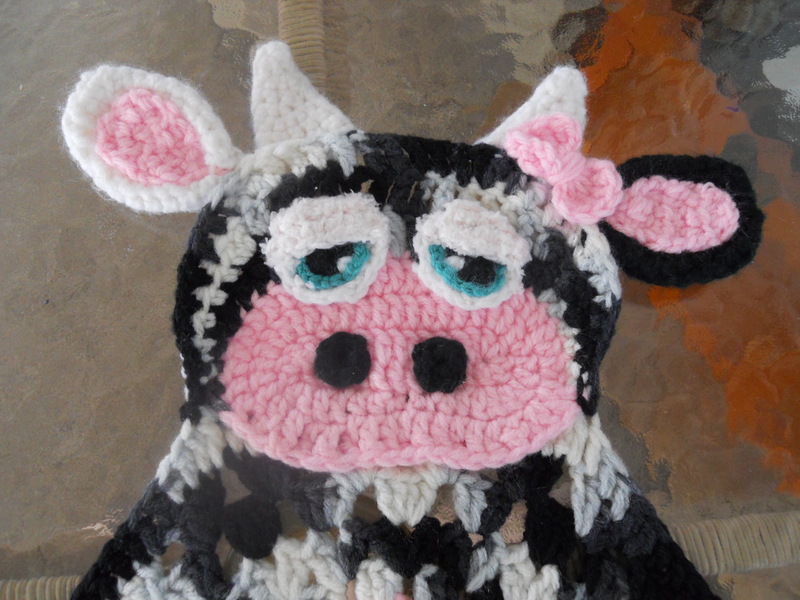 While I was looking for a pattern for the cow I saw this really cute Zebra Hat on the Adorably Hooked blog. It was so cute I knew I wanted to try it so here is my version. Here is a link to my Etsy store. I also do special orders so if you don’t see anything you like send me a message and lets create together! It will be so much fun!